If you’re new to hearing aids, then you’ve got a lot to look forward to when it comes to a life-changing listening experience. Even if you are an experienced hearing aid wearer, then you’ll know the benefits hearing aids bring. With better access to the sounds in your life, hearing aids boost your confidence and enhance the quality of your interactions with your loved ones. At Hear Care Rhode Island, we offer hearing aids from leaders in the industry: Siemens, Oticon, and Phonak. 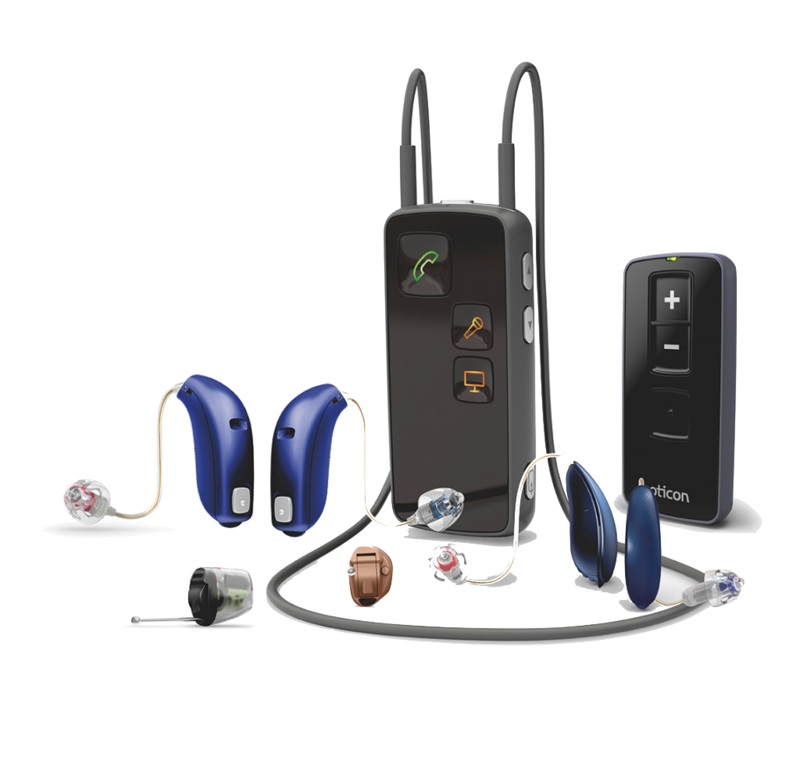 The hearing aids available from these manufacturers offer many different features that address specific hearing needs. Hearing loss comes in different configurations and degrees. The most effective treatment for hearing loss is the prescription of hearing aids that have been tailored to meet your needs. Hearing aids are equipped with a number of features that address the various aspects of hearing loss. With hearing loss, the brain often carries a heavier cognitive load as it struggles to make sense of muddled sound signals. Hearing aids provide clear sound signals by picking up sounds, amplifying them, and analyzing them with incredibly fast processing chips equipped with algorithms. Hearing aids are also equipped with directional microphones that scan the wearer’s environment and simulate a binaural listening experience. This gives wearers access to a 360-degree of sound in their environment, allowing them better localization. Speech recognition is one of the major difficulties with hearing loss. Hearing loss interferes with our ability to clearly recognize words and speech patterns. Hearing aids are equipped with technology to boost speech recognition, addressing speech in a variety of different listening environments. Speech recognition technology helps clarify speakers’ voices in noisy settings, quiet settings, in the car, in the outdoors with wind, and more. This allows wearers to focus on the voices they want to hear, while eliminating background noise that may interfere with conversation. Tinnitus is present in 80% of hearing loss cases. Known as a “ringing of the ears,” tinnitus is a condition in which people hear sounds without an external stimulus. These phantom sounds may become distracting, especially in chronic cases. Tinnitus has been linked to increased levels of stress and anxiety, and may cause concentration problems and sleep deprivation. Many hearing aids are equipped with tinnitus therapy options. Sound masking is available in options such as nature and sea sounds, which provide wearers relaxation and relief from their tinnitus symptoms. For an added layer of discretion, many hearing aids offer a remote control option, often times controllable through wireless connection with a personal electronic device such as a smartphone. Remote controls also support wearers with dexterity issues, eliminating the need to make adjustments to volume and program features on their small devices. Hearing aids are workhorses that you wear every day. As such, they are exposed to many different elements. Hearing aids are designed with a level of protection against moisture, sweat, debris, and dirt that may accumulate from daily wearer. With nano-coating and high ratings on the IP scale, the majority of hearing aids we offer withstand the elements in your daily life to ensure that they remain in great working order. 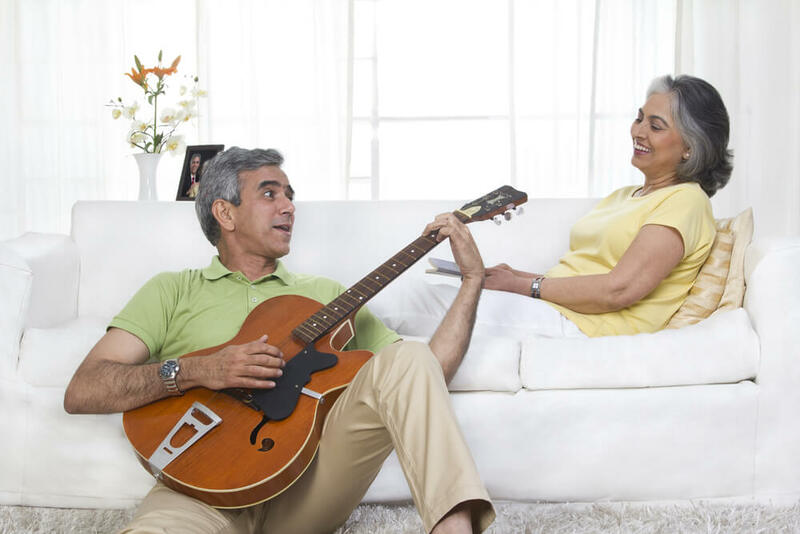 For music lovers, hearing aids offer music features that provide clarity of sound in both live and recorded music. Some hearing aids are equipped with the option to stream music directly to the hearing aids, through wireless connection. This gives wearers unfettered access to the sounds they love. You’ll notice that sounds are much “louder” with your new hearing aids – this is due to the fact that your brain has become accustomed to a less clear quality of sound. 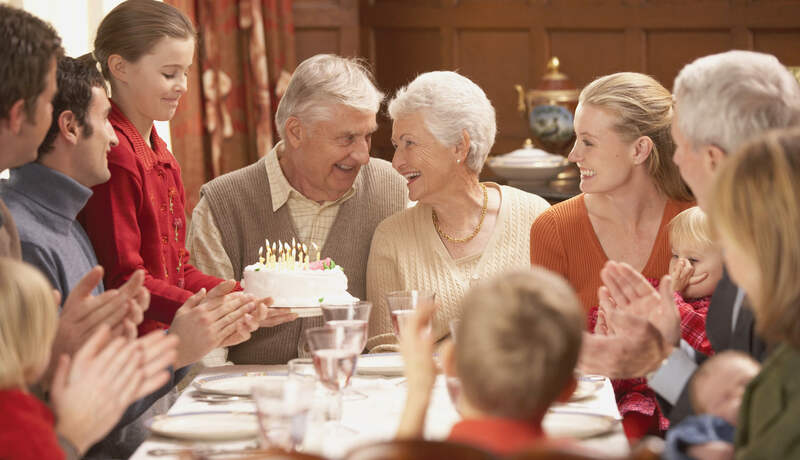 With hearing aids, you will have access to a wider range of sounds. Noise cancellation provides wearers with a comfortable listening experience, softening sharp and sudden sounds such as the slam of a door. Noise cancellation is also an integral part of every processing platform, lessening the noisy distracting sounds of any environment to provide a clearer listening experience. 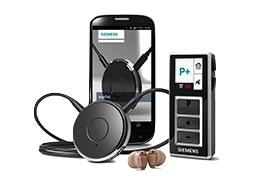 Some hearing aids are also equipped with an echo control feature, which assists wearers in acoustically challenging spaces, such as large hallways or auditoriums. These soften the sounds of echoing noise to provide a more comfortable listening experience. As advanced electronic devices, hearing aids have kept up with the on-going evolution of digital technology. Most hearing aids offer wireless connectivity through Bluetooth, which allows wearers to stream music, media, and phone calls directly from their devices to their hearing aids. Some hearing aids even offer the option to connect directly to the Internet to assist in the processing of everyday sounds. 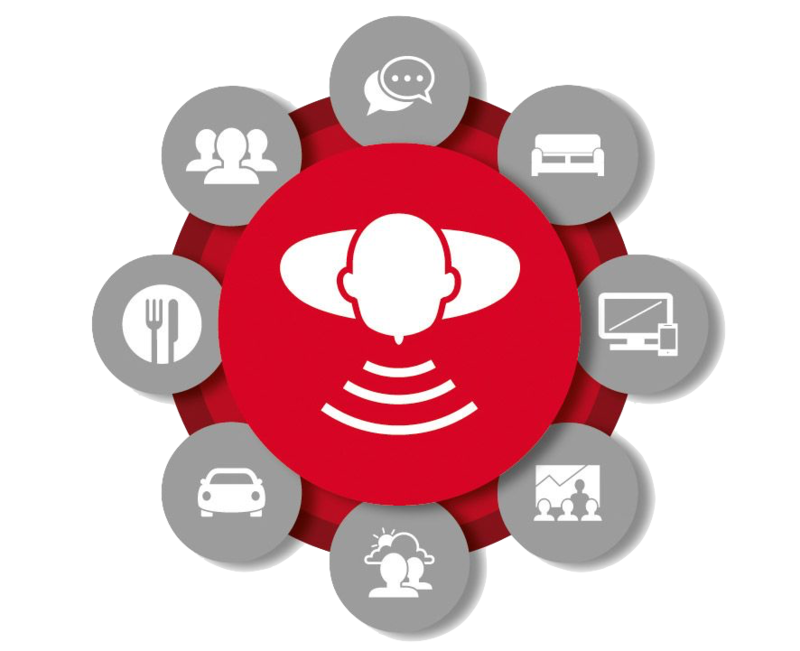 Additionally, with wireless connectivity, wearers may activate a geo-tagging feature available with certain hearing aids. Using GPS, these hearing aids are able to archive user preferences when you are in different spaces. When you return to these spaces, the geo-tagging feature will make automatic adjustments to your saved preferences, providing a truly seamless listening experience.